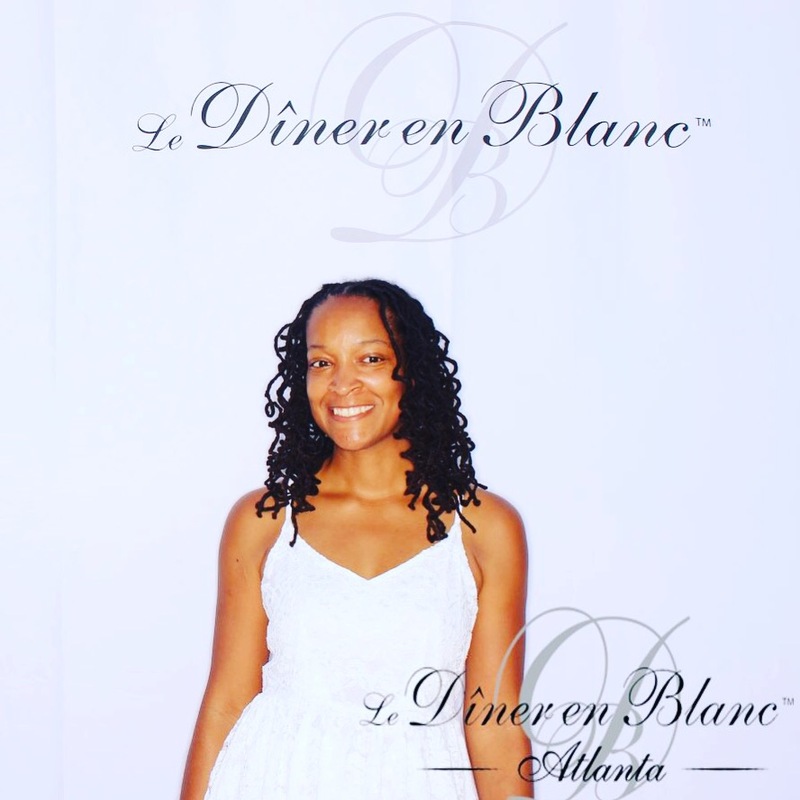 This year I was so happy to be sponsored to attend Diner en Blanc in Atlanta. 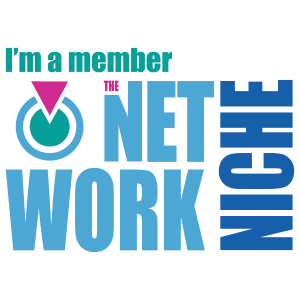 I went from the waiting list to be able to register during the second phase. Thanks Melissa! Registration was a slight battle, but I got in! Yay! I brought my partner in crime, Leslie, as my guest. 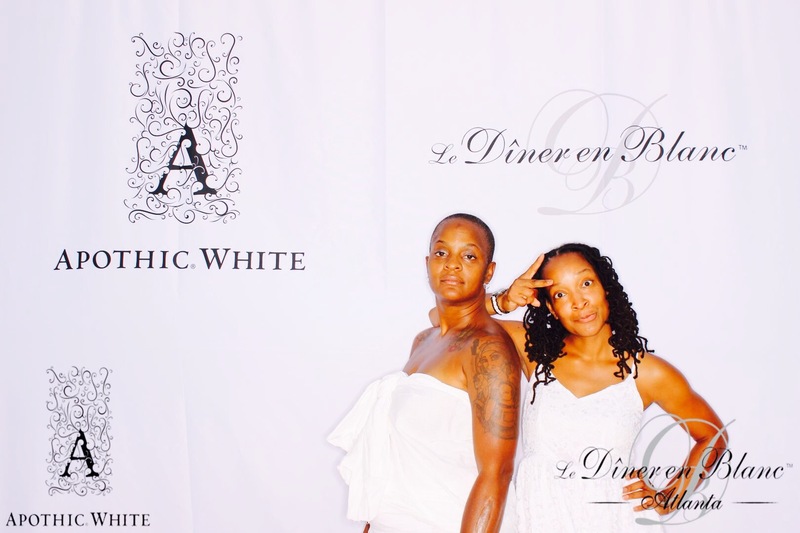 Rules of Diner en Blanc are as followed. I had nothing white. Eeek! And of course I waited till the last minute to look for one. Like the night before! 1 1/2 before closing time. I figured someone should have a white dress on sale. 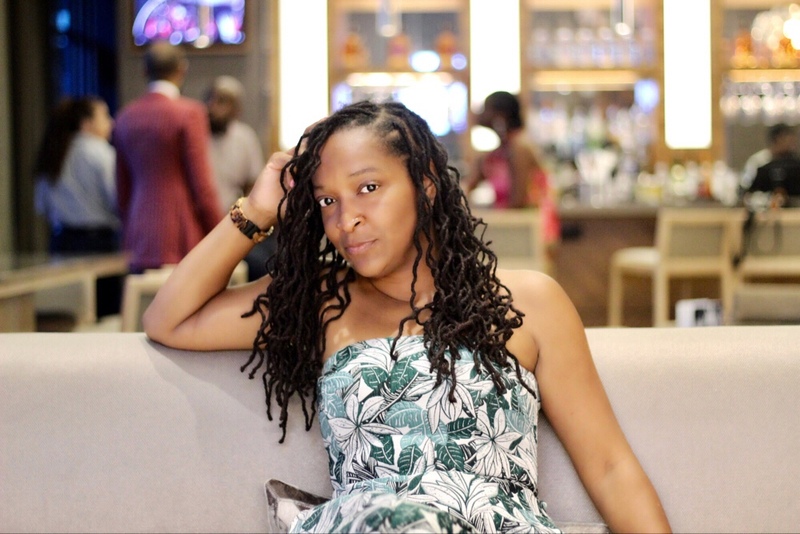 I wasn’t feeling buying a dress that I would most likely not wear again. I went to Macy’s first. There were a couple options, but nothing exciting. Next, I checked out Forever 21. They had a cute white lace dress that I actually liked. And it was $10. I thought that if I didn’t find anything that would be the dress I would purchase. Well I didn’t find anything, so that’s the dress I got. Lol! 2. Bring a folding square table and two white chairs. Our chairs were purchased from Ikea. That was easy. They had plenty and they were $8! The table not so easy. Leslie and I sent the bat call to everyone we knew. No square table. Friends had round, rectangle, small, but no square table. We wasn’t really trying to purchase a table for one night. I suggested Leslie go to the Goodwill just to see if they just so happened to have a table. At first, all she saw was some TV trays. That would not work. Too small. Just before leaving, she decided to ask them if there were any square tables in the back. And guess what?? Out of the back came a woman carrying a square table. AND it was $5!!! Yes!!! 3. Bring food curated by yourself. We decided that we would go Vietnamese with our meal and make Pho. 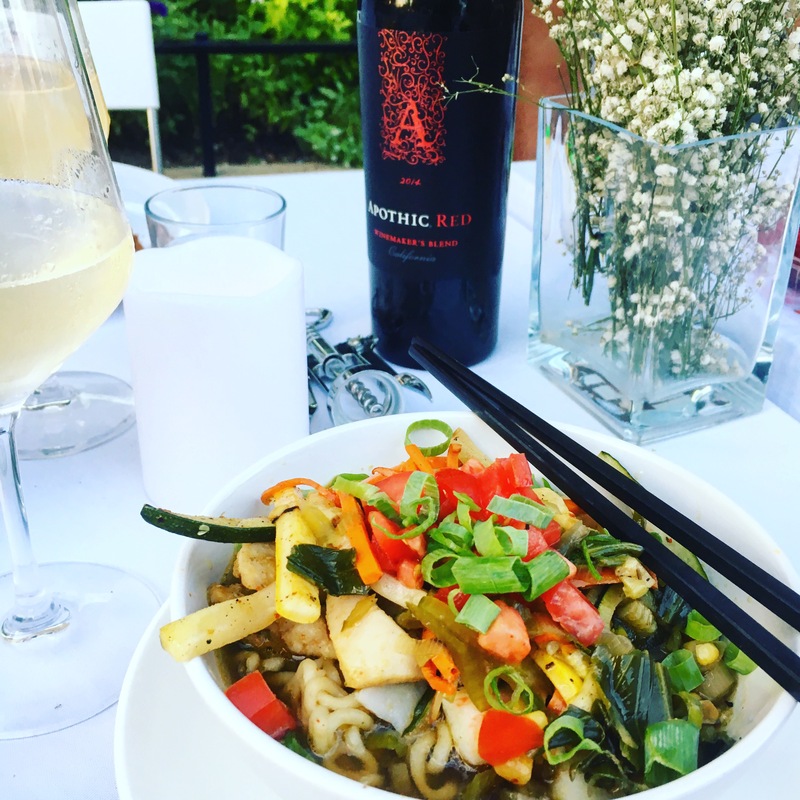 Leslie made this fantastic lemongrass broth. We then added carrots, squash and coconut chicken to it. So good. We also had a marinated kale salad made by Leslie’s daughter, Din. It was delicious! Instead of bread, we went with popcorn seasoned with rosemary salt. I made a gluten free chocolate cake to end the meal on yummy note. 4. Be on time or get left. The event was held at a secret location. We were only given a location to meet our table leader. We got there on time. I wasn’t going to get left! Once we were all checked in, we proceeded by foot, one block up, to the event location, The Shops at Buckhead. As we filed in, we set our tables up. There were about 2 thousand people all setting up. Once every one was done it was beautiful! It was so awesome seeing everyone all dressed up. Some of the table decorations were so beautiful. People went all out! Our table wasn’t as fancy as some but it was cute. 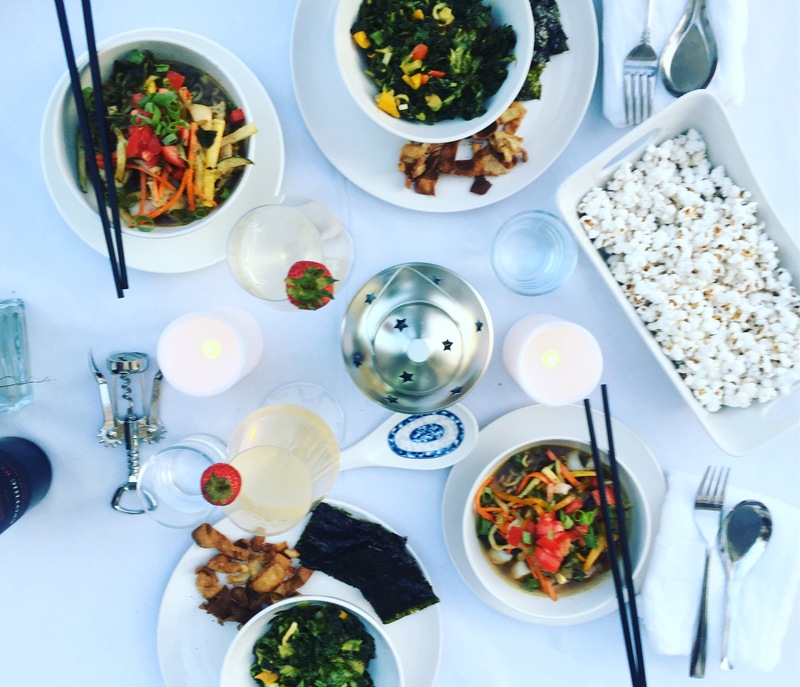 A white tablecloth, candles, silver lantern, and amazing food is all we needed. The food was our decor! After setting up, every one waved a white napkin. Time to eat! Our food was so good! I enjoyed every bite! There was also a photo booth! Yes!! Y’all know know I love a photo booth! Check out the snaps! The night came to a close with a sea of sparklers against the beautiful night sky. With that, we packed up our things and went home! 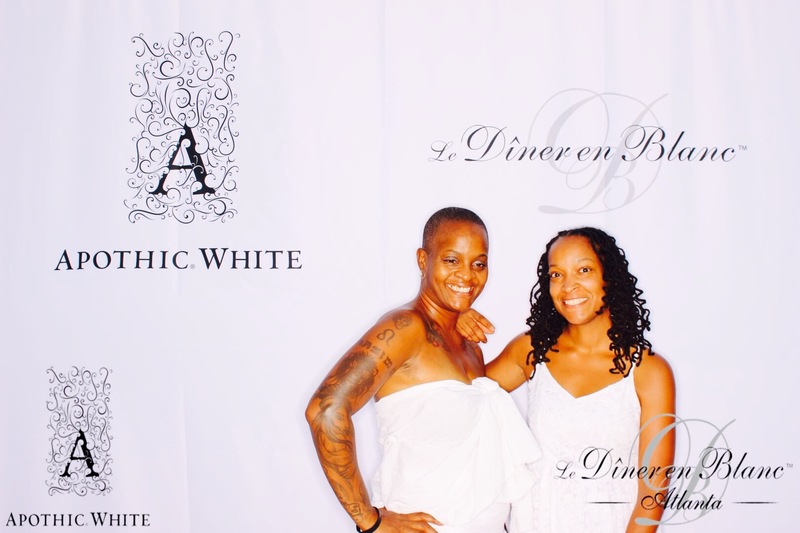 My first Diner en Blanc experience was amazing! Can’t wait till next year!